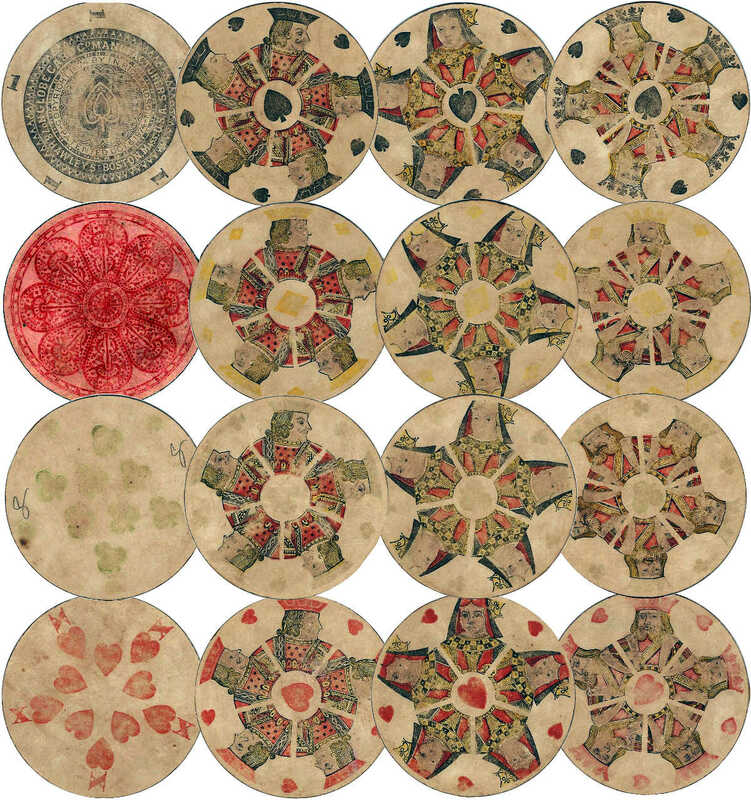 In 1874 I. N. Richardson patented a deck of round, or circular, playing cards which was produced at 68 Cornhill Street, Boston, Mass. In c. 1875 the firm was taken over by I. W. Richardson, the son of I. N. Richardson. 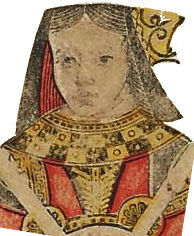 The Son’s name replaced that of the father on the Ace of Spades. In c.1878 the firm’s name was changed to Globe Card Co. which name was used on the Ace of Spades, replacing that of the son, I. W. Richardson. 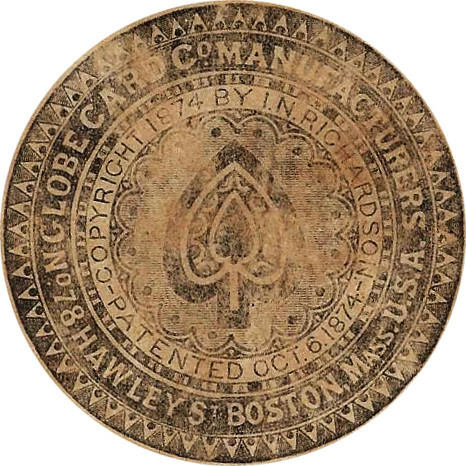 In c.1880 the firm moved to larger premises at 78 Hawley Street, Boston, Mass and continued to produce the same deck, changing the address on the Ace of Spades accordingly. All the Aces of Spades carried the patent date of Oct. 6, 1874 by I. N. Richardson. Above: “Globe Playing Cards” published by the Globe Card Co., 78 Hawley Street, Boston, Mass c.1880. The box has the remains of a five cents tax stamp. Images courtesy Tammy & Larry Northup.